We’ll let you in on a secret ingredient. You've already tried many versions of adobo—but this one's different. Give the classic Pinoy dish a twist by adding one secret ingredient: Lee Kum Kee Panda Brand Oyster Sauce. This all-purpose seasoning sauce with a robust flavor and a rich color is made from fresh oyster extracts and has no added preservatives. Strictly selected and extracted on the day of harvest, only fresh oysters of the highest quality are handpicked by professional oyster quality assessors. 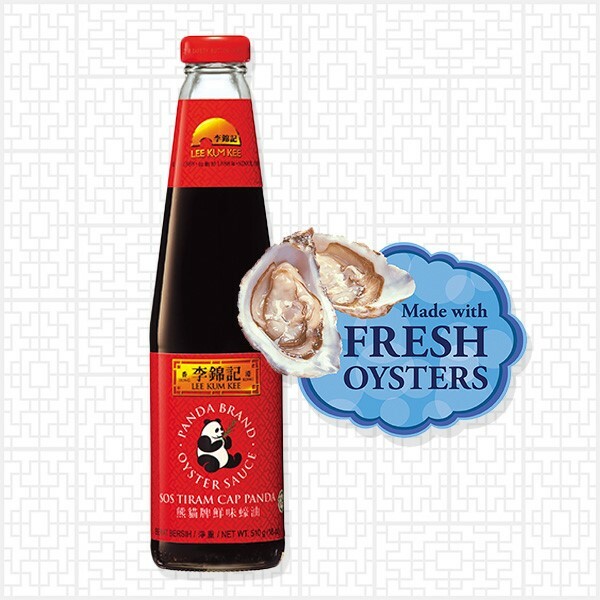 You'd think that Lee Kum Kee Panda Brand Oyster Sauce was the result of many years of study, but it was actually discovered by accident. True story: The world's first oyster sauce was invented by Lee Kum Kee. Its founder, Lee Kum Sheung, was cooking some oyster soup. He lost track of time, until he noticed a strong aroma coming from the pot. When he lifted the lid, the normally clear oyster soup had already turned into a thick, brownish sauce. This flavorful seasoning soon became a hit among the locals. In 1888, Lee founded the Lee Kum Kee Oyster Plant to manufacture and sell oyster sauce—and the rest is history. In a bowl, mix together Lee Kum Kee Soy Sauce, vinegar, black pepper, garlic, and bay leaf. Marinate chicken and pork for 30 minutes. Drain chicken and pork. Set aside marinade. 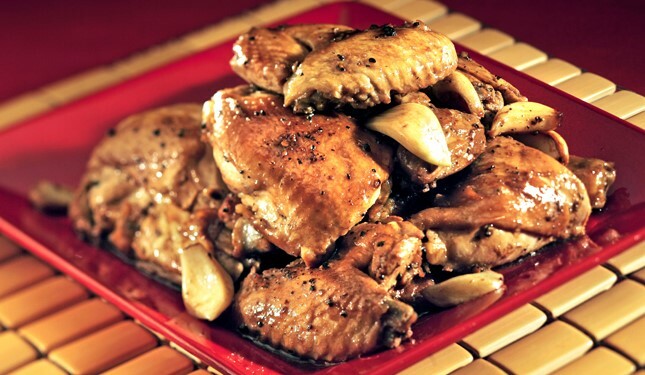 In a pan, heat oil and sauté the chicken and meat until golden brown. Pour in marinade, sugar, and Lee Kum Kee Panda Brand Oyster Sauce. Simmer until sauce thickens. Tip: You may use potatoes, boiled chicken, or quail eggs to make the dish even more interesting.